Research has indicated that environmental pollution may increase the risk of diabetes. 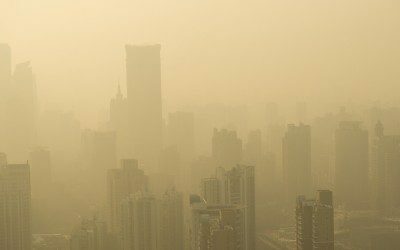 Now, a new animal study from China has found that air pollution is linked to an increased risk of obesity, inflammation, and insulin resistance (a precursor of Type 2 diabetes). In the United States, an estimated 29 million people have Type 2 (roughly 9.1% of the population), and more than 78 million are obese (approximately 24%), while in China, approximately 114 million people have Type 2 diabetes (roughly 8.4 % of the population)and about 300 million are obese (approximately 22%). Studies have suggested that air pollution plays a role in diet-associated weight gain, inflammation, and insulin resistance, but no evidence had existed directly showing a link between air pollution and increases in weight not caused by diet. To determine the effects of breathing polluted air on weight and various other health measures, scientists from Duke University and Peking University placed pregnant rats and their offspring in one of two types of chambers, either exposed to the polluted city air of Beijing or cleaned by an air filter that removed most of the pollutants. At the end of 19 days, the rats living in the polluted air had lungs and livers that were heavier and showed signs of inflammation, as well as 50% higher LDL (“bad”) cholesterol, 46% higher triglycerides (a type of blood fat), 97% higher total cholesterol, and increased insulin resistance. And although both sets of rats were fed the same diet, those that were exposed to the polluted air were heavier at the end of their pregnancies than those in the filtered compartments. Additionally, the offspring that lived in the air pollution were heavier at the end of eight weeks despite the same diets, with pollution-exposed male rats 18% heavier and pollution-exposed female rats 10% heavier than their counterparts living in filtered compartments. He emphasized that further studies are needed to evaluate whether humans have a similar response to polluted air. For more information, see the article “Exposure to air pollution increases the risk of obesity” or the study’s abstract in the Journal of the Federation of American Societies for Experimental Biology (FASEB). And for strategies to reduce inflammation, see “Put Out the Fire of Diabetes Inflammation,” by nurse David Spero. If you are 18 to 30 years old and living with Type 1, you’ll want to learn more about an program for young adults in Boise, Idaho. Bookmark DiabetesSelfManagement.com and tune in tomorrow to find out more.